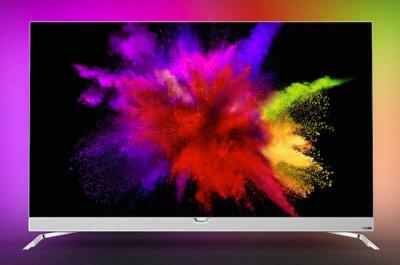 Philips' 901F is the company's first OLED TV, with a 55" 4K panel (made by LG Display). Other features include three-sided Ambilight (LED strips that add external illumination), HDR, Philips' own Perfect Pixel Ultra HD picture processing, integrated 6.1 sound system and a Smart TV powered by Android. The 901F is now shipping in Europe for €3,500 (in Germany). Currently a euro is about 1.12 dollars, and usually electronics are much cheaper in the US.